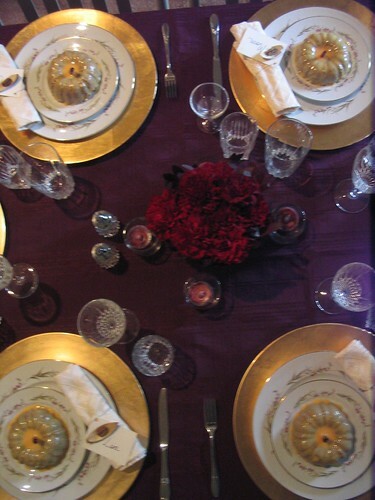 I was working on this year's Thanksgiving tablescape design and as such, I was looking back to see what I have done in the past. 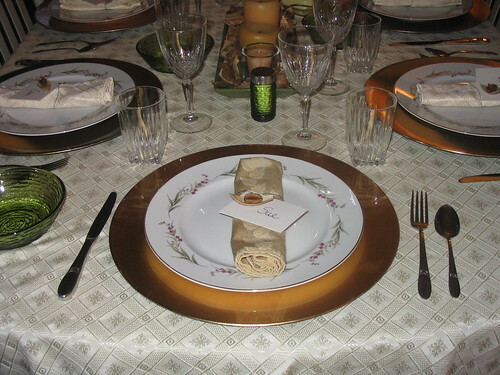 It is amazing what you can do with the same set of china and flatware and a little imagination. Happy Wordless Wednesday at 5 Minutes for Mom and Wordful Wednesday on parenting By dummies! I am so happy that I've only been stuck with the Thanksgiving festivities once. I always do Christmas which is much smaller and less formal. More my speed for sure. Looks like yours will be beautiful though! Have fun and thanks for joining Wordful Wednesday! I'm sure it is going to be beautiful! I love brown with turquoise or sky blue...so pretty! Oh wow. You've got me thinking now. Those are gorgeous. I love how you change them up every year. Me, I tend to find something I like and stick with it. 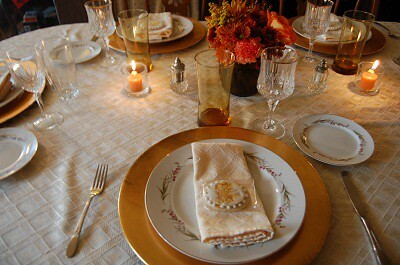 And it's possible you might not be able to actually call it a tablescape, either ;) But the food is great! What ever you do will look amazing.. Thanks for sharing.. 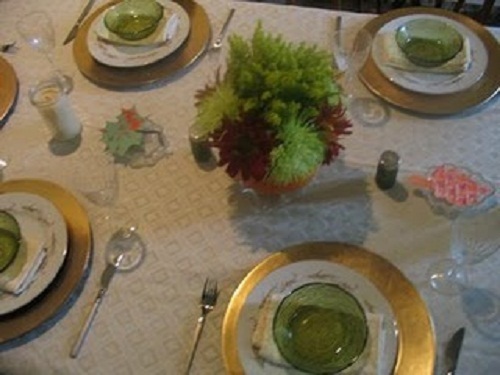 I want to sit at your table..
Love it, they all look beautiful! Can't wait to see what you do this year, I am loving the browns!!!! Brown should look awesome with the gold. Love the plates, by the way. It's making me want gold plates! Lovely site! Yummy! will keep visiting for recipes...;)..
i think my favorite is the first picture. I used to HATE the old green stuff my Grandmother and mother used. Now, I love it. Especially paired with the "new" like you've got.